In this episode we bring in our first special guest Amin El Kholy; who co-created the FinTech Connector Community in Dubai. 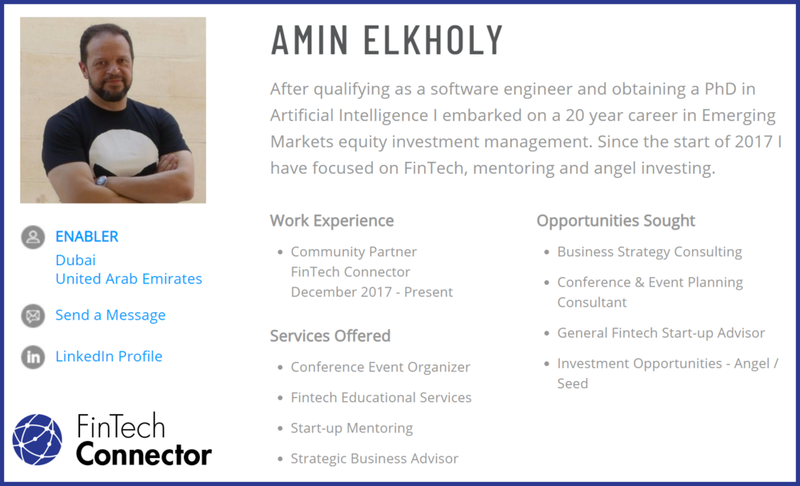 Amin has great experience in fund management and the Fintech domain and is currently diving deeper in to how blockchain could change this industry. Ahmed starts off with the first topic of cryptocurrencies being mainstream within 10 years according to research. The evolution of money and the 3 characteristics are explored along with where cryptocurrencies stand. The timeline of 10 years is also challenged in terms of how technology and humans will work together. Some existing platforms are explored and the hosts discuss what roles they play in helping cryptocurrencies become more mainstream. Faisal explains the concept of decentralization and its importance is discussed. They also explore the required balance and the effect of decentralization on efficiency. The next topic discussed is the failure rate of ICOs being almost 50% last year! Amin explains what he believes should be done with ICOs and how it compares to other domains. The role of regulation and its impact on the entire journey is also explored. Lastly, the news of the UAE SCA officially recognizing digital assets as securities is evaluated from the point of view of the guest and hosts.